Welcome home to a clean well maintained Pet Free/Smoke Free property. If you have been waiting for the perfect Northville rental you have found it. This 4 bedroom, 2 1/2 bathroom home has all the space you will need. 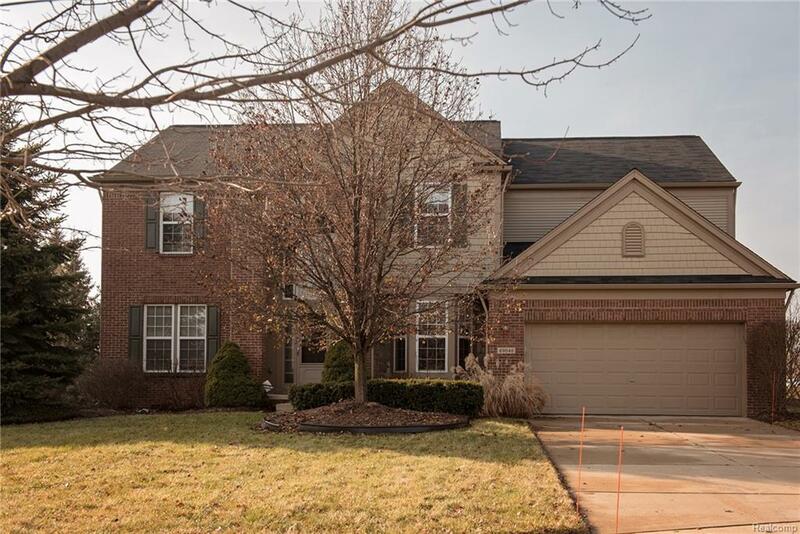 Main floor features hardwood floors, two story great room with fireplace, formal living and dining rooms, half bath, den with French doors and a huge eat-in kitchen with island. Upstairs is a large master suite with private bath and two walk in closets. Rounding it all out are 3 additional bedrooms and another full bath. The neighborhood has a community playground and pool just a block away. Absolutely no smokers and no pets. Minimum 24 month lease. Locked room in basement is to stay locked during lease. Credit and Employment will be verified. Carpets will shampooed prior to new tenants. Available NOW!